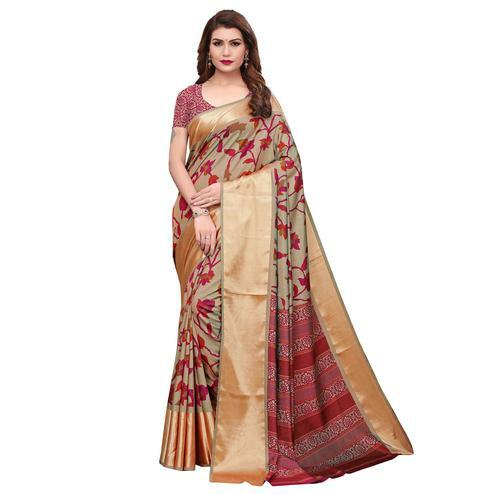 Get praised for your clothing choice and style wearing this beautiful brown - cream saree. 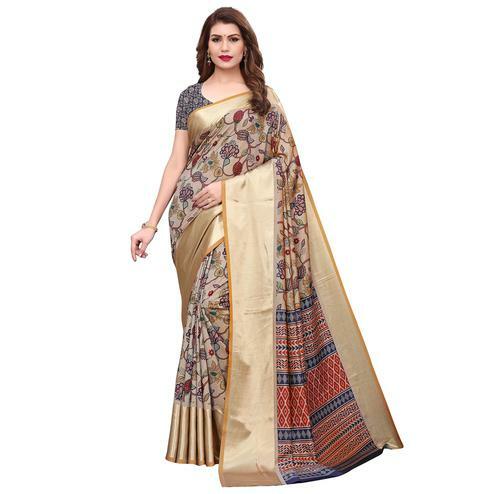 This saree is designed using quality silk crape fabric which has been detailed with paisley print on half of the saree with a pashmina border. 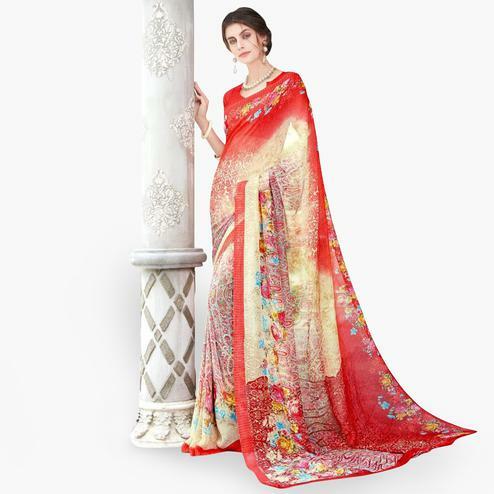 Saree comes along with unstitched pashmina fabric blouse piece. 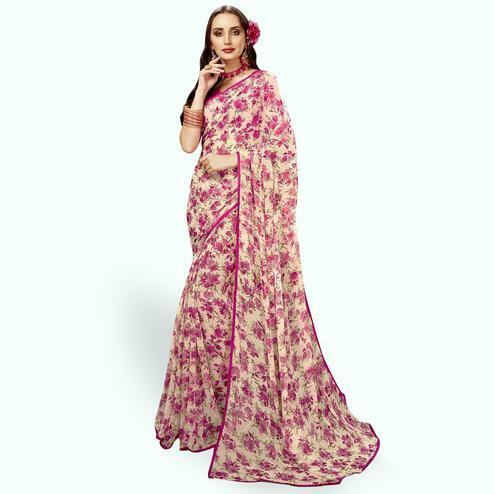 It's a perfect saree to pick for social events and kitty party.